Be the first to share your favorite memory, photo or story of Kathleen . This memorial page is dedicated for family, friends and future generations to celebrate the life of their loved one. 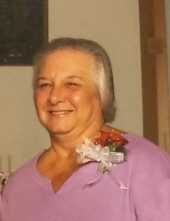 Kathleen L. Stucky, 69, of Freeport, passed away, Monday February 4, 2019 in her home. Kathleen was born March 2, 1949 in Freeport, the daughter of John and Doris (Metz) Mudore. Kathleen worked at Honeywell-Micro Switch for 25 years before retiring in 2007. She was a member of St. Thomas Aquinas Catholic Church. She was a Chicago Cub fan, enjoyed watching golf, and was well know for her sense of humor. Family was very important to Kathleen. Surviving are two daughters, Belinda (Kenneth) Kostenbader and Christine Stucky both of Freeport; brother, Greg Mudore of Freeport; two nieces, Kacey and Rochelle Mudore; two sisters-in-law, Dawn Mudore of Freeport and Connie Mudore of Thailand; three grandchildren, Noah, Jackie, and Sami; also surviving are four great-grandchildren. Kathleen was preceded in death by her parents, brother, John; and her beloved dog, Buddy, on December 1, 2018. To send flowers or a remembrance gift to the family of Kathleen L. Stucky, please visit our Tribute Store. "Email Address" would like to share the life celebration of Kathleen L. Stucky. Click on the "link" to go to share a favorite memory or leave a condolence message for the family.